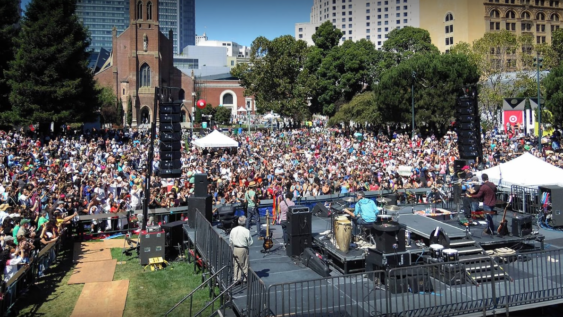 The annual Jenny Lind Concert is a beloved and long-running Yerba Buena Gardens Festival tradition that showcases the most extraordinary young sopranos from Sweden. This year’s program introduces Ylva Stenberg, who has spent the last six years training in Hanover, first at the College for Music Theater and Media and then at the Hanover Opera’s Opera Studio. Grateful for the rich array of experience she gained while living in Germany, she’s eager to take on the role of Jenny Lind scholar, meeting Swedish audiences and visiting the places where Lind made a lasting impression in mid-19th century North America. Stenberg is joined by Swedish pianist Allan Timofeitchik. Presented with the Consulate General of Sweden, the Jenny Lind Concert offers a thrilling peek at the future of opera.